Deals Gap is a popular and internationally famous destination for motorcycle enthusiasts, as it is located along a stretch of two-lane road known since 1981 as "The Dragon" or the "Tail of the Dragon". The 11-mile stretch of the Dragon in Tennessee is said to have 318 curves. 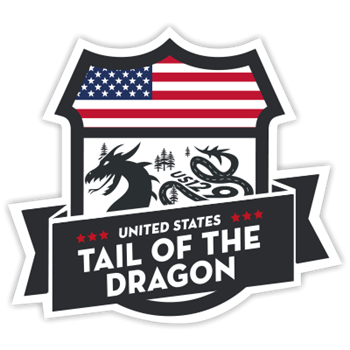 Some of the Dragon's sharpest curves have names like Copperhead Corner, Hog Pen Bend, Wheelie Hell, Shade Tree Corner, Mud Corner, Sunset Corner, Gravity Cavity, Beginner's End, and Brake or Bust Bend. The road earned its name from its curves being said to resemble a dragon's tail. 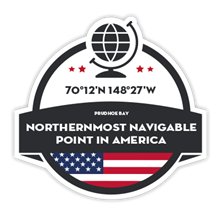 The stretch bears the street name "Tapoco Road" in North Carolina and "Calderwood Highway" in Tennessee and is signed entirely by US 129. 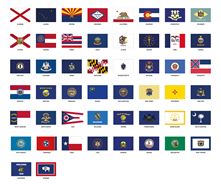 All 50 US State Flags in one set, high quality, waterproof and equal ratio so it looks good on your bike. State names can be peeled off separately, so you have the choice to use only the flag (no white borders) or add the name as well. 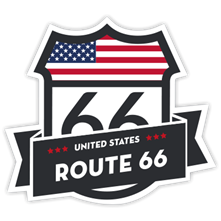 Famous Roads - Route 66 in U.S.